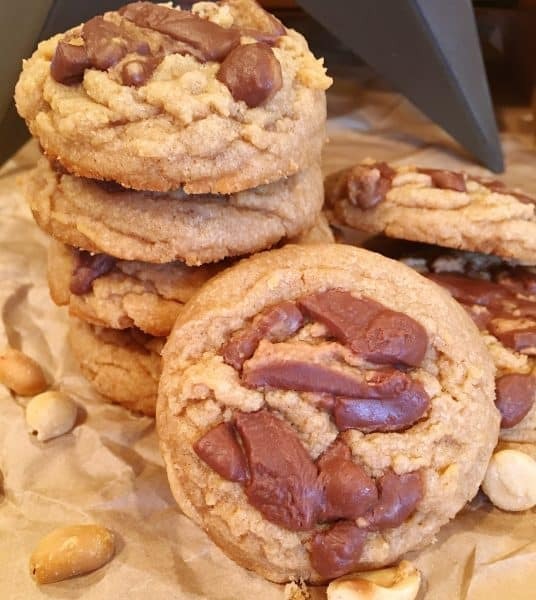 After Christmas I had a couple extra bags of candy lurking around…taunting me…so I grabbed the Reese’s Santa heads and decided to chop them up, and incorporate them into these amazing Soft and Chewy Peanut Butter Cookies! 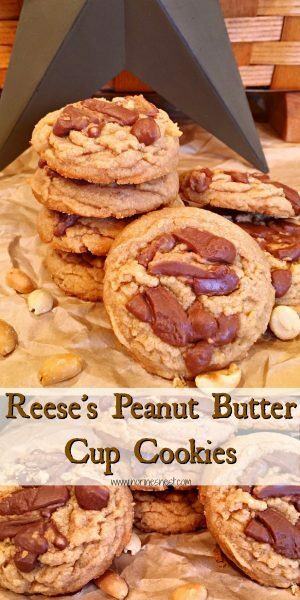 I have a confession…(yep another one)…I’m a HUGE Reese’s Peanut Butter Cup fan! The day I spotted the “Big Cup” in the check-out line…Choirs of Heavenly Angels sang… and a light shone down from the sky directly on that giant cup of happiness! 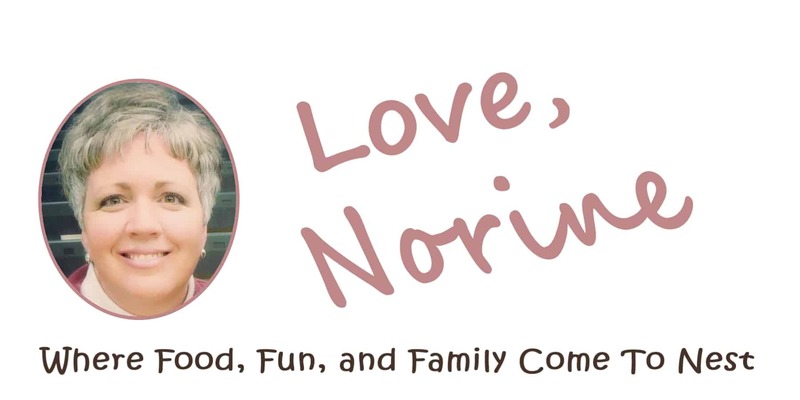 It called to me….”Norine…we need each other!” Who was I to deny my calling! Now if you don’t have Reese Peanut Butter Santa Heads lying around…which I find personally shocking…you can use regular Reese peanut butter cups. Using a large knife, chop 1 cup of Reese Peanut Butter Cups…or Santa Heads! (I won’t tell…but keep in mind… there will probably be a Netflix special about you!) Set the chopped peanut butter cups (or heads) aside. 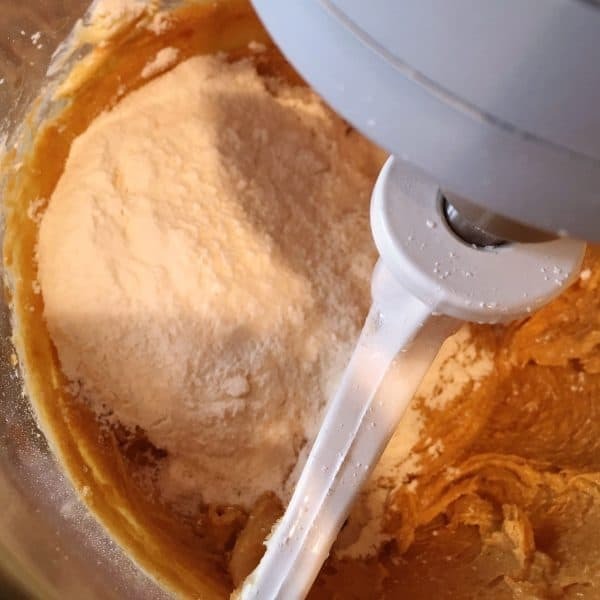 In a large bowl, or the bowl of your mixer, cream together peanut butter, butter, sugar, and brown sugar together until well blended. Beat in the egg, vanilla, and milk one at a time until well combined. In a separate bowl combine the flour, baking powder, and salt; stir into creamed mixture. Mix until the two mixtures are well incorporated. 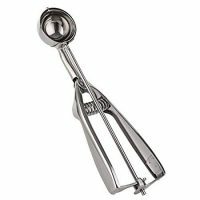 Using a Cookie Scoop, or Tablespoon, roll tablespoons of dough into balls. If you are using a cookie scoop you can just scoop and plop the dough directly onto your parchment or silicone baking mat lined baking mat. 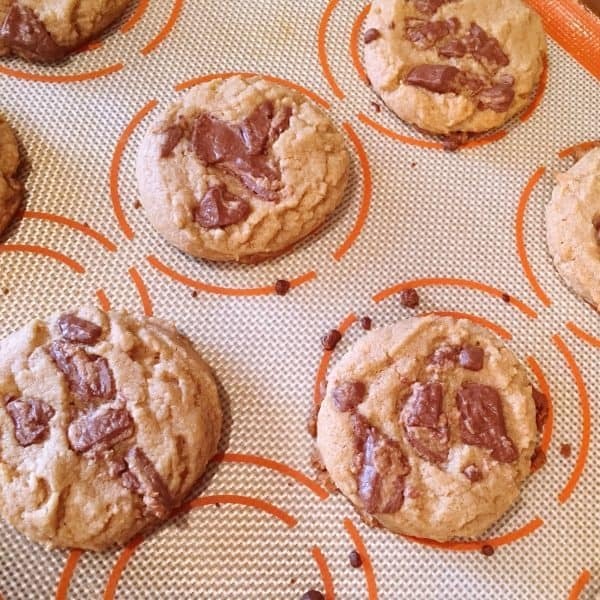 I love my cookie scoop and silicone baking mats. Both are kitchen tools I use on a regular basis. You can find the cookie scoop HERE and my favorite silicone baking mats HERE. Both are listed for a great price and if you have Prime…you have free shipping! 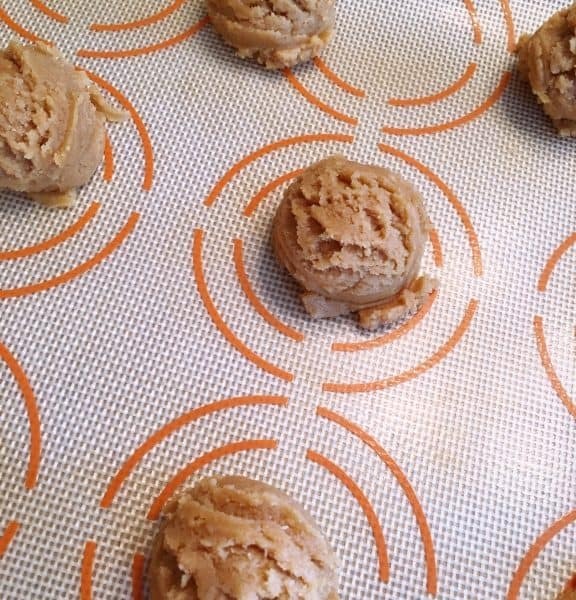 Once all your cookie dough is scooped, or rolled, place them 2 inches apart on baking sheet. 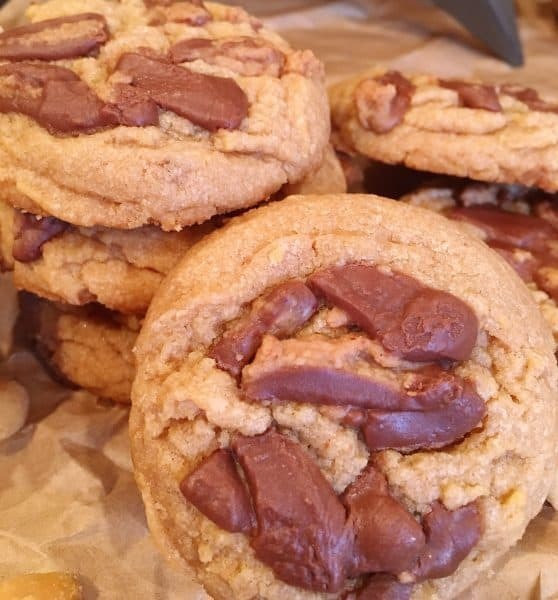 Grab a large pinch of chopped Reese’s Peanut Butter Cups and gently press them into the top of each cookie… and slightly press down the cookie dough. 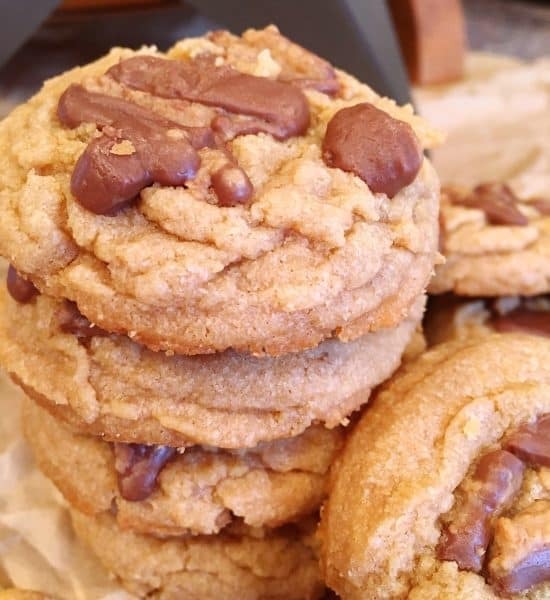 TIP: I know I share this tip every time I post a cookie recipe…but it’s my BEST, number one tip for baking perfect cookies! Half way through the bake time, switch racks your cookies are baking on. Have both shelves as close to the center of the oven as possible. 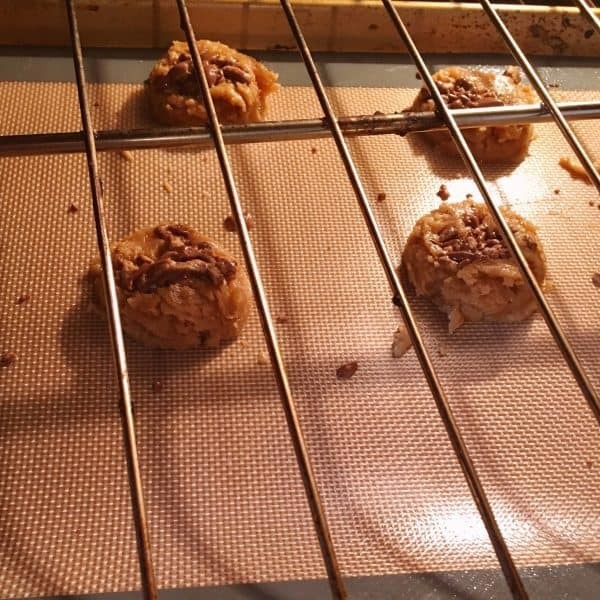 Bake the cookies for 8-10 minutes in preheated oven, or until the edges are lightly browned. Allow to cool 5 minutes. Remove and place on cooling rack! You have to eat one of these warm! (Okay, you need to eat 3-4 of these warm! Yep! Speaking from experience.) Gahhhh! They’re SO good! Melt in your mouth, heaven on earth, amazingly good!!! I love how pretty these cookies are. I love a cookie with a “crinkle” top and big chunks of YUMMINESS poking out. The cookie is so soft and chewy! 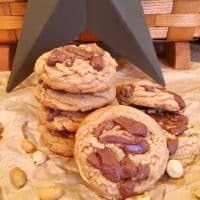 The chopped Peanut Butter Cups on top kick this peanut butter cookie into an entirely different realm! TIP: One of the things I love about this cookie? They stay soft and chewy for up to a week when stored in an air tight container! Almost as good as the day they popped out of the oven. 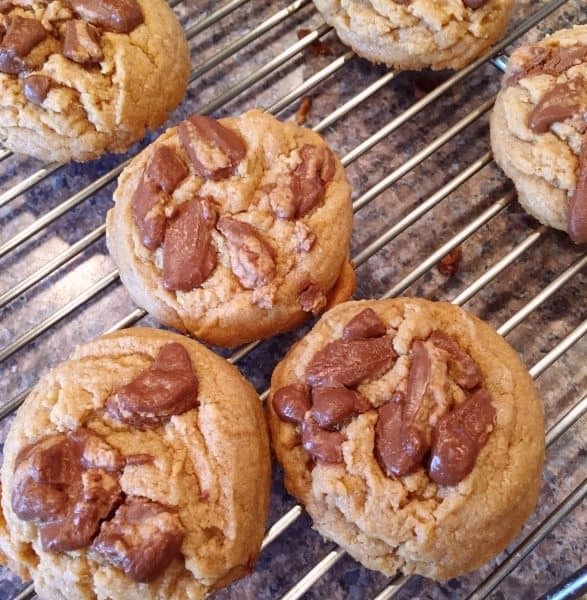 If you’re a member of the Reese’s Peanut Butter Cup club like I am, you’ll be a fan of these scrumptious Reese’s Peanut Butter Cup Cookies! 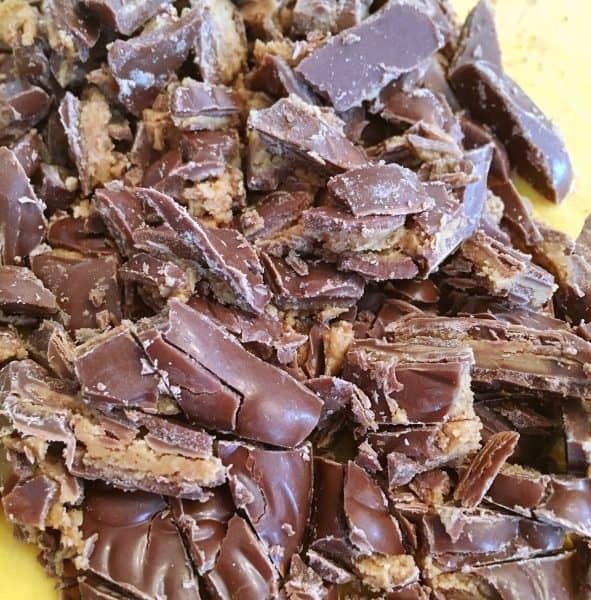 You don’t even have to chop up Santa heads…I’ll let you use regular peanut butter cups! Enjoy! The Printable recipe is below. 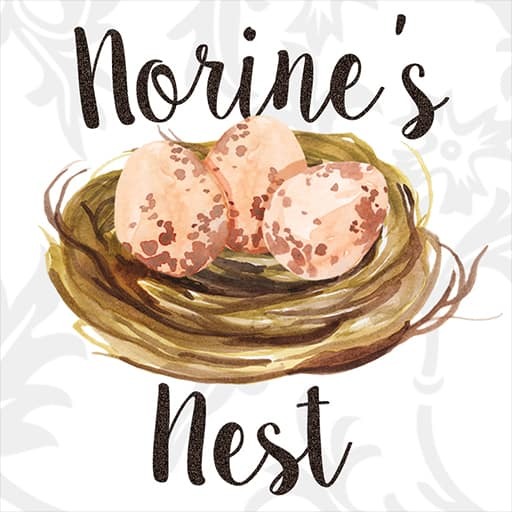 You can also sign-up for my Newsletter and see all the yummy recipes coming soon to my Nest! I’m sharing these amazing cookies over on my favorite link parties! 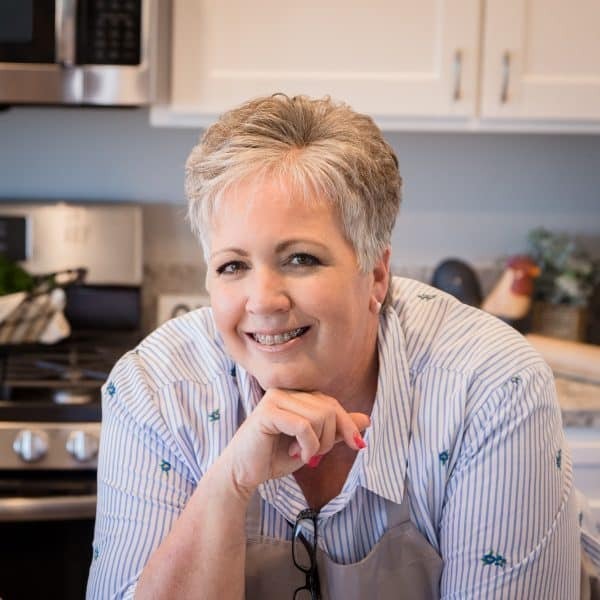 Click on the Links below to find some of the best recipes on the internet this week! 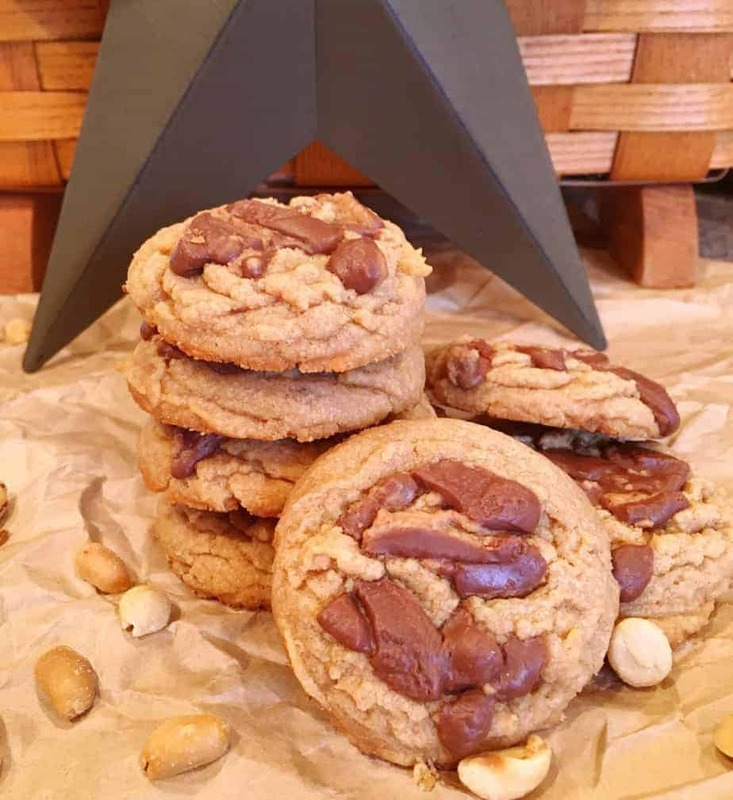 Soft and Chewy Peanut Butter Cookies topped with chopped Reese's Peanut Butter Cups. Chop 1 cup Reese's Peanut Butter Cups. Set aside. 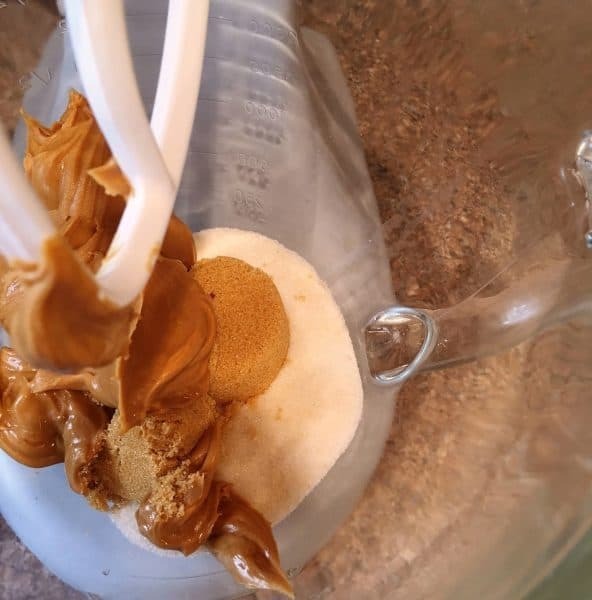 In a large bowl, cream together the peanut butter, butter, white sugar, and brown sugar until well blended. Beat in egg, milk, and vanilla one at a time until well incorporated. In a separate bowl combine flour, baking powder, and salt. Mix with wire whisk. Stir into creamed mixture. Roll, or scoop, tablespoons of dough into balls. 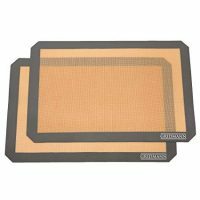 Place cookies 2 inches apart onto parchment lined or silicone mat lined baking sheets. 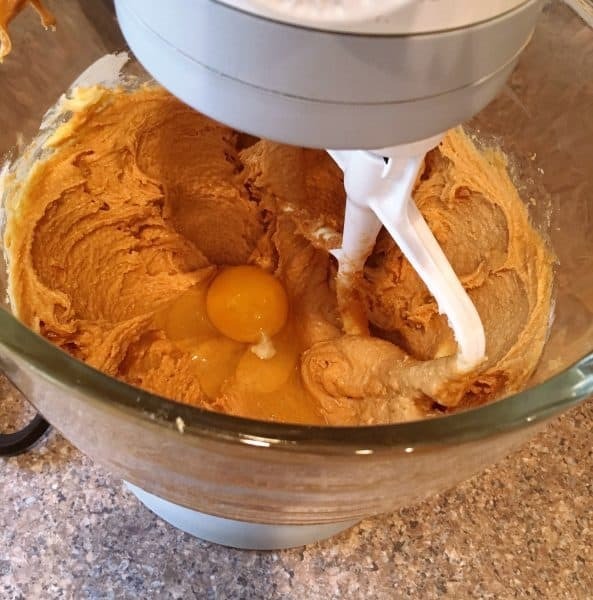 Press a large teaspoon full of chopped Reese peanut butter cups into the top of each scoop of dough. Slightly press down each cookie. Bake for 8-10 minutes in the preheated oven, switching baking racks half way through cook time, or until edges are lightly brown. Remove from baking sheet and place on cooling rack. Store in air tight container.